W magazine gives us a first look at their latest issue with Cate Blanchett on the cover of their annual “Art and Fashion” issue. Blanchett’s porfolio, shot in a film studio in France, was inspired by a classic children’s book and is timed with the release of the Oscar winner’s latest film, Carol, which hits theaters this weekend with an early preview of a Cinema Society screening on Thursday. 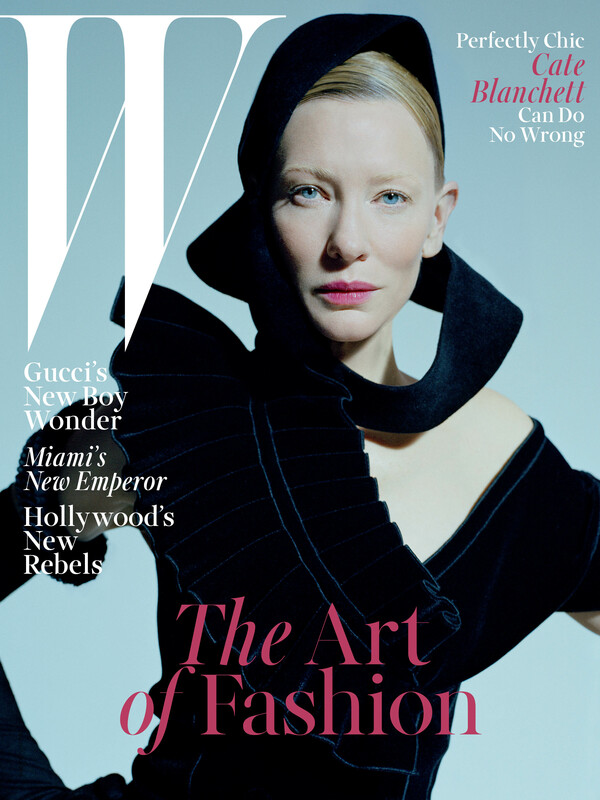 Stefano Tonchi, W‘s EIC, fills us in on the issue and why Blanchett was the perfect cover gal for December/January. We know, we know…a rhetorical question if there ever was one. What’s inside the annual Art and Fashion issue? The issue spotlights imaginative collaborations between great creative minds, artists, photographers, and risk-taking celebrities. You’ll find Cate Blanchett completely transformed into the Little Prince, inhabiting a surrealist world of wonder and whimsy. We wanted to produce imagery that’s immersive, that transports you into a world of fantasy, and that allows you to dream. All the stories in the issue are connected to the idea of self-expression. We have a profile on Alessandro Michele, looking at the approach he’s taking to redefine the Gucci brand and the way he’s channeling fluid gender roles, a romantic sensibility, and a certain curiosity. We followed him from Milan to the futuristic landscape of Shanghai, for the opening of an exhibition he co-curated. You will also find a provocative profile on Tara Subkoff by Lynn Hirschberg, chronicling her artistic journey from designer to actor and director. And with Art Basel coming up, we’ve curated some of our must-see cultural moments, along with a story on the hotelier Alan Faena, who has transformed a large part of Miami Beach into an ultra-luxurious real estate empire. Why did you transform Cate into Antoine de Saint-Exupéry’s Little Prince? 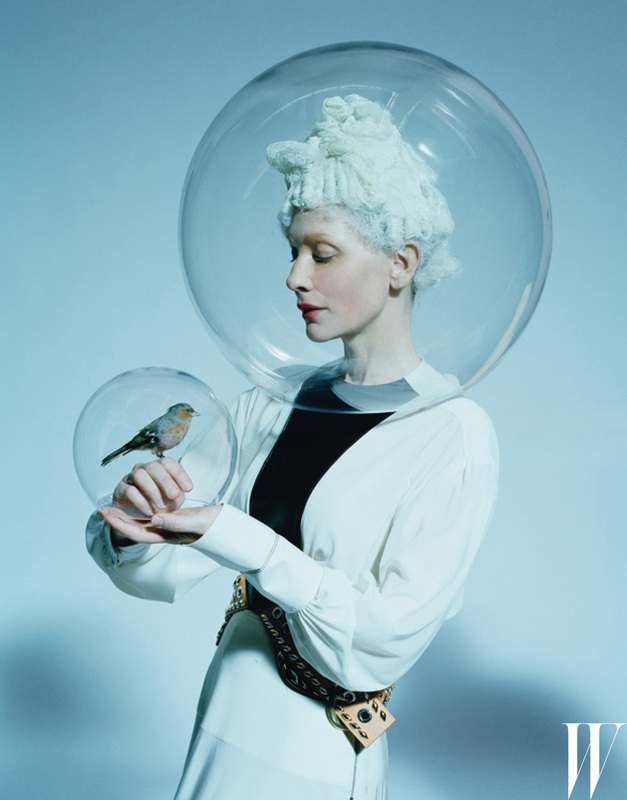 Tim Walker’s work is inspired by fairytales, and The Little Prince is one of the most popular children’s stories in the world. It was Tim’s idea to stage this production of The Little Prince, and Cate loved it. It was like directing a movie, with custom-made clothing, props, set design, and storyboards, several months in the making. We shot it in a cinematic studio. Everything you can see in the pictures is real – we had to recreate the surface of the moon! And we commissioned designers to create clothing specifically for this shoot – from pajamas that Miuccia Prada designed for Cate to dresses by Jason Wu for Boss and by Stella McCartney. Cate had told us she wanted to work with Tim and this was the perfect moment for the collaboration, with our art and fashion issue, and her new movie, Carol coming out. We wanted to create something different, and she brought the story to life and made it her own. Why was Cate chosen for the cover? Like W, Cate always likes to take risks. She has taken on such a variety of roles, from portraying Queen Elizabeth, to Bob Dylan, and now a high-society lady who falls in love with a much younger, working-class woman, in the movie Carol. She’s always pushing boundaries and challenging conventions, so she was the perfect choice for the cover of our art and fashion issue. Have you seen Carol yet? Yes. It’s a very important film, and one of my favorites of the year. I think it will be a top contender this award season. Both Cate and Rooney Mara deliver remarkable performances, masterfully directed by Todd Haynes. Cate brings to light all the identity and social issues of an era when being different, and expressing it in public, had painful consequences, in the very conservative 50s.